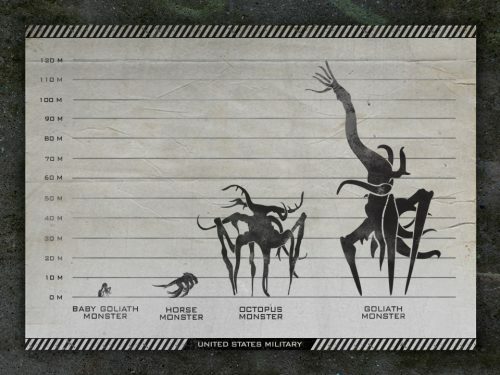 It’s not long to go before Monsters Dark Continent, the sequel to Garth Edwards hit film Monsters. Unlike its predecessor, this one looks like it’s not been made by one man in his bedroom! We have been sent over three great things to keep you interested. The first is the brand new trailer. This one showing even more of the monsters, including a dog fighting a baby monster – keep an eye out for that one! 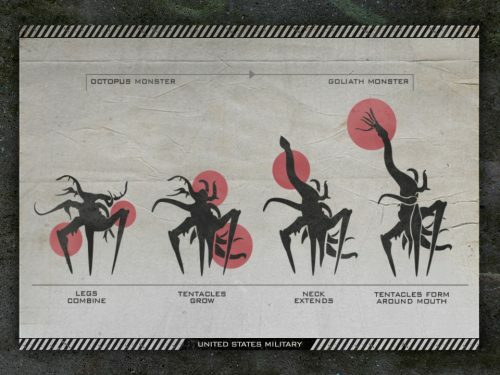 The second are two images to help you identify what monsters are what and how a Goliath Monster evolves from an Octopus Monster. The third is five new images to keep you amused. You can use them as wallpaper, or anything you want to. Who am I to judge what you do with them!